Create you're own miniature garden paradise with this terrarium. Gold frame in a pyramid shape with glass panels. This will make a great gift idea for anyone that loves plants or the budding botanist. Funky geometric design that is just perfect for housing little plants, flowers, herbs and succulents. Also ideal for creating a great display with faux foliage and flora. Use freestanding or hang for a great display. Create you're own miniature garden paradise with this terrarium. 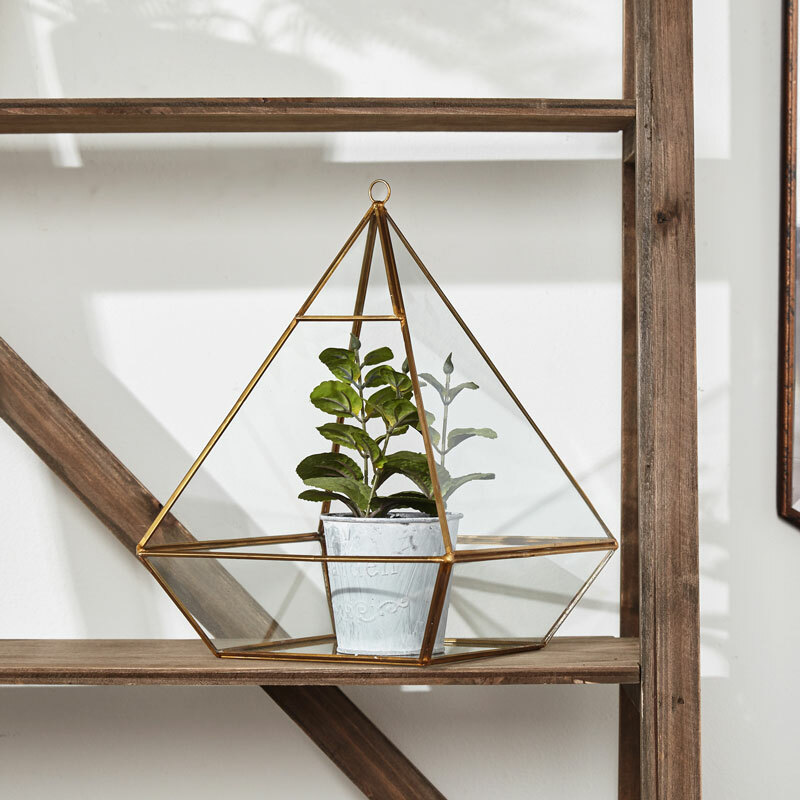 Gold frame in a pyramid shape with glass panels. This will make a great gift idea for anyone that loves plants or the budding botanist. Funky geometric design that is just perfect for housing little plants, flowers, herbs and succulents. Also ideal for creating a great display with faux foliage and flora. Use freestanding or hang for a great display. 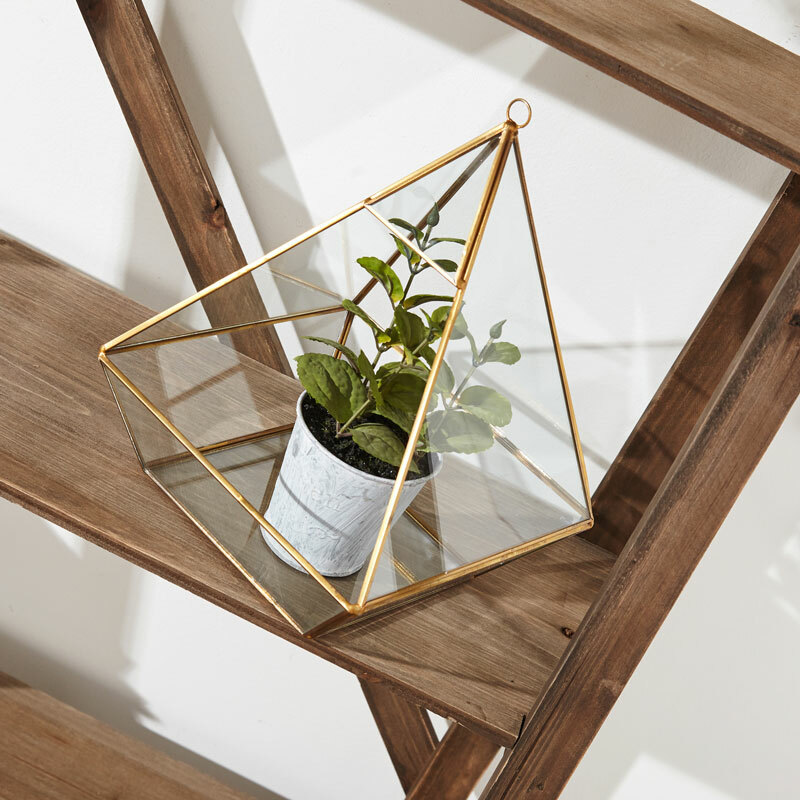 Constructed with a gold metal frame with glass panels in a pyramid shape. The terrarium can be used free standing or hanging from the metal loop on the top.